Well, it looks like yesterday’s reports were wrong: the Tigers have returned Rule 5 pick Jeff Kobernus to the Nationals. Kobernus hung a line of .220/.298/.300 in 50ABs for Detroit in 21 games while attempting to make the 25-man roster as a utilityman. The 24-year-old made appearances in all three outfield positions, playing there for the first time since his collegiate days at California. Officially, he’s been reassigned to minor-league camp but is expected to open the season in Syracuse after an injury-shortened 2012 in Harrisburg. 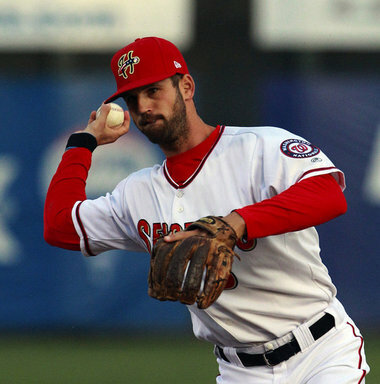 He played in 82 games for the Senators and hit .282/.325/.333 with 42 SBs with a career-best .982 fielding average. The watchlist and the second baseman page have been both been updated to reflect his return.